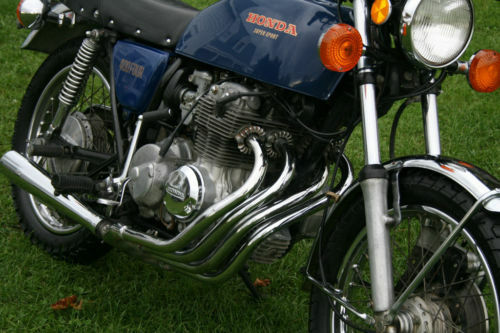 They may not be the sexiest curves on a motorcycle, but the 4 into one headers on this 1975 Honda CB400F Super Sport are very nice. 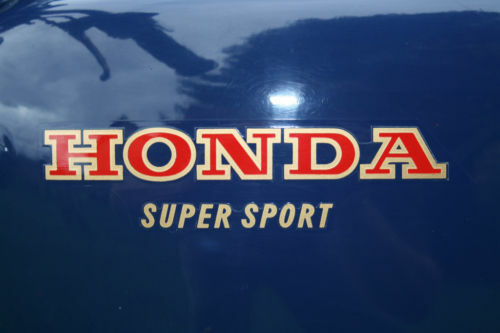 They tell us right off that this is the Honda with four cylinders and not the pedestrian twins of the same period. Super Sport is what they call it, and it does have something to back it up. This bike starts on the first push of the starter button. It idles beautifully, blows no smoke or oil. It drives and handles great, shifts smoothly through all of the gears. These are fun little bikes. It has a six speed transmission. It red lines at 10 grand! 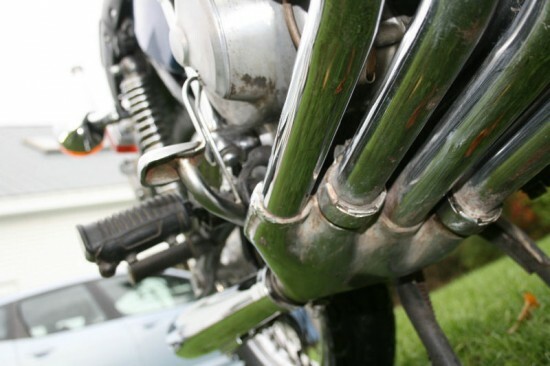 …The pipes have a few scrapes, but are very nice for original 4 into 1 pipes. 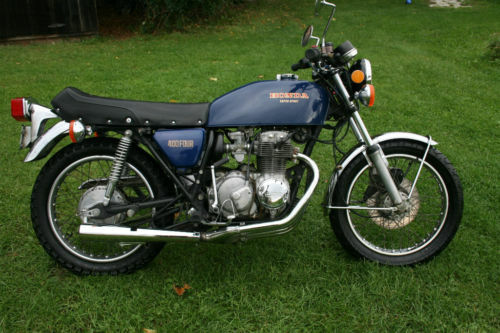 … It has the usual scrapes and dings for an older bike (see photos), but overall it is a very presentable classic. The chrome is decent. The seller is not shy on pointing out the scraps, bumps and dings that this bike wears after 40 years of use. When it came out all those years ago you would have gotten a 37hp motorcycle with a red line of 10,000 pushing through a 6 speed gear box. I did not run across a top speed, but you were not buying this bike to scream down the highways of America. 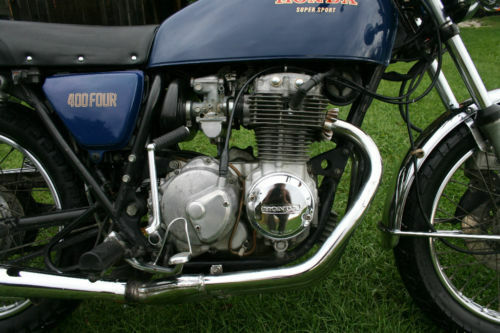 It was developed from the earlier, under square 47cmx50cm CB350F to satisfy the, more is better US buyer. But boring out the engine to 51cm with valves driven by a single over head cam, and the same 4x20mm Mikumi you still only have a 408cc of power to work with. ANOTHER instant collection of bikes on eBay!